The department is the state-level key research subject, which is one of the top 10 hospital subjects in the country according to the statistic of State Medical Internet. 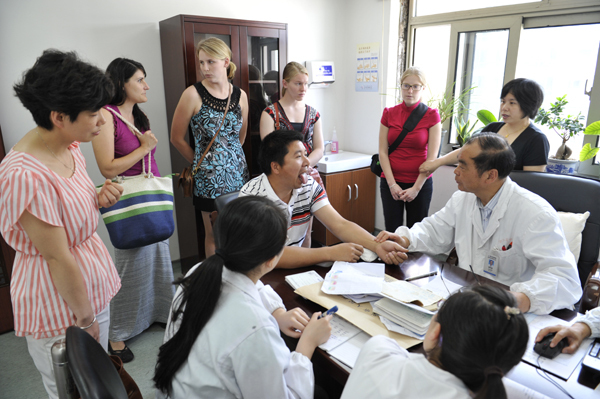 It is also the master degree education center of Zhejiang Chinese Medical University. The department has achieved outstanding effectiveness in treating such neurological diseases as: acute cerebral-vascular diseases, wind stroke, vascular dementia, epilepsy, Parkinson's disease, myasthenia gravis, insomnia, headache, vertigo, neurological rehabilitation etc. The department has also made intensive studies on the prevention and treatment of such diseases as cerebral hemorrhage, cerebral infarction, myasthenia gravis, Parkinson's disease and peripheral neuropathy and the rehabilitation of sequelae of strokes; hence the clinical effectiveness is greatly improved. It has been achieving abundant experiences in rescuing acute CVA, decreasing its mortality rate, disability rate, and accelerating recovery of nerve system. The dept has been undertaking one international collaborative research work, 26 of state level and bureau level research subject, and 15 of them have been awarded with provincial level prize. Dr. Qiu Changlin,Chief Physician of Chinese Medicine, Professor, Doctoral Supervisor, is a standing committee member of Neurology Professional Committee of Integrated Traditional Chinese & Western Medicine, Instructor of No. 4th and No. 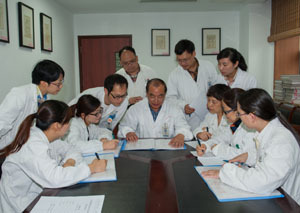 5th batch academic experience inheritance task of National Senior Chinese Medical Experts. Dr. Qiu's specialty is stroke, CVA, headache, myasthenia gravis, Parkinson's disease, epilepsies, multiple sclerosis, prosopalgia, refractory insomnia and difficult diseases of nervous system. Especially in treating myasthenia gravis, he is the pioneer using Ma Qian Zi capsule treating myasthenia gravis, motor neuron disease, myelitis and other difficult miscellaneous diseases of nervous system, has accumulated rich experience, as well as in treating amyotrophic lateral sclerosis, Alzheimer disease, progressive myodystrophy, acute myelitis and other difficult miscellaneous diseases, also receives good results. He has distinctive experience in treating myasthenia gravis (MG), his experienced formula of MG 1 and MaQian Zi Capsule are widely used in other hospital, it became state owned national patent. In recent years, Dr. Qiu also put lots of efforts in clinical study of the treatment of amyotrophic lateral sclerosis, Alzheimer disease, progressive myodystrophy, acute myelitis and other difficult miscellaneous diseases, and it has been gained remarkable results. In 2009, Dr. Qiu participated in a Cross-Straits Academic Communication in Yilan Taiwan, he delivered a special lecture of how to treat myasthenia gravis with TCM.